South Sea pearls are among the most sought-after items in the world for the making of fine jewelry. Why? Well, many of their characteristics are unique, making good examples rare and very expensive. The primary characteristic which sets this type of pearl apart from other cultivated varieties is its luster. A South Sea pearls luster is renowned for its depth and tone, making it one of the world’s best pearls. 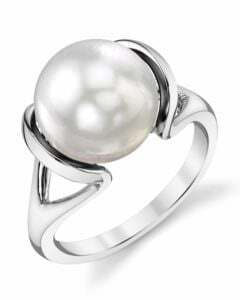 Luster is created based on how a pearl is formed. 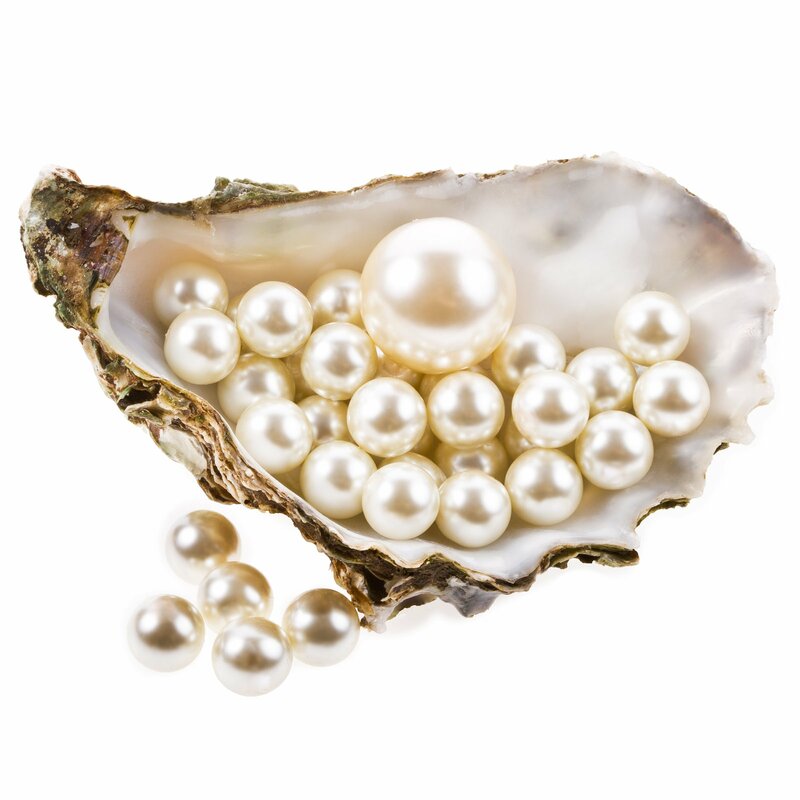 Contrary to popular belief, cultured pearls are not started with a grain of sand. Instead, an irritant, such as a piece of shell lining, is placed in the oyster. An oyster reacts by secreting nacre, or mother of pearl, to cover the irritant. Each oyster continues to coat the infantile pearl until the irritant is no longer threatening its soft interior organs. The hardened nacre surrounding the irritant is what we refer to as a pearl. Oysters from the South Seabeds secrete nacre for a far longer period of time than other members of its species, almost twice that of other oysters used in premium pearl farming. This makes the nacre thick and highly refractive of light. Extra layers also contribute to an exceptional hardness which gives off clear reflections. The combination of reflection and refraction and its effect on the tone and color of the pearl is called luster. Grade A: Very High Luster- Images are clearly reflected on the surface, and rich tones are developed through refraction. Grade B: High Luster- Images are reflected but not sharp or clear. Moderate warmth to color tone. Grade C: Medium Luster- Minimal clarity in reflection and low depth to color. Grade D: Poor Luster- No reflection or minimal reflection. Minimal or no depth of color. Very few pearls earn an A rating when harvested, making a South Sea pearls luster very important when assigning value. Pearl luster is especially difficult to achieve in smaller pearls. 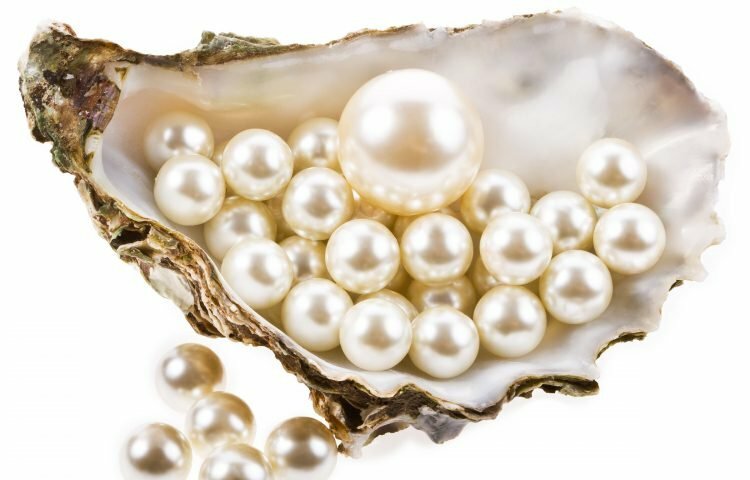 Fortunately, the long farming cycle in the South Sea produces larger than average pearls and contributes greatly to their reputation for a high luster. 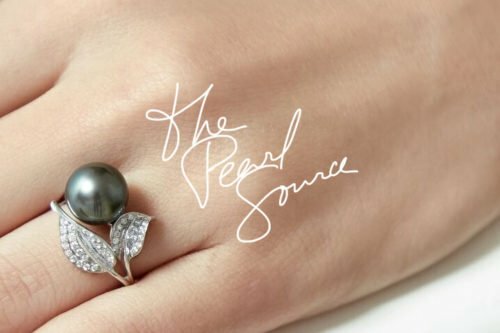 Yes, a south sea pearls luster and size could make it extremely expensive. But, more affordable options do exist. 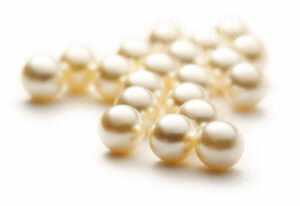 Remember, only a small number of pearls produced are round, and an even smaller number have great luster. This leaves many beautiful pearls on the outside looking in when judged on the traditional scale for perfection. It’s possible to buy an exquisite South Sea Pearl with amazing luster for a reasonable price. To do so, you might have to settle for a teardrop or baroque shape. A shape perfect for an eye-catching pendant. 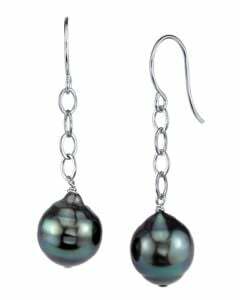 Two closely matched baroque pearls will make a beautiful pair of earrings for the right buyer, and will not be exceedingly expensive. However, if you are looking for a rope of sixty matched South Sea pearls, you are going to need some resources.